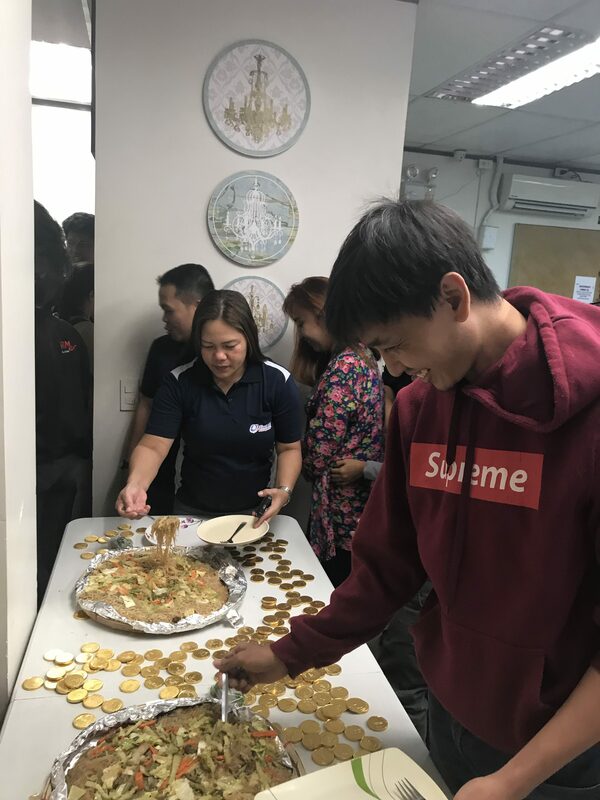 We celebrated Chinese New Year in the office. 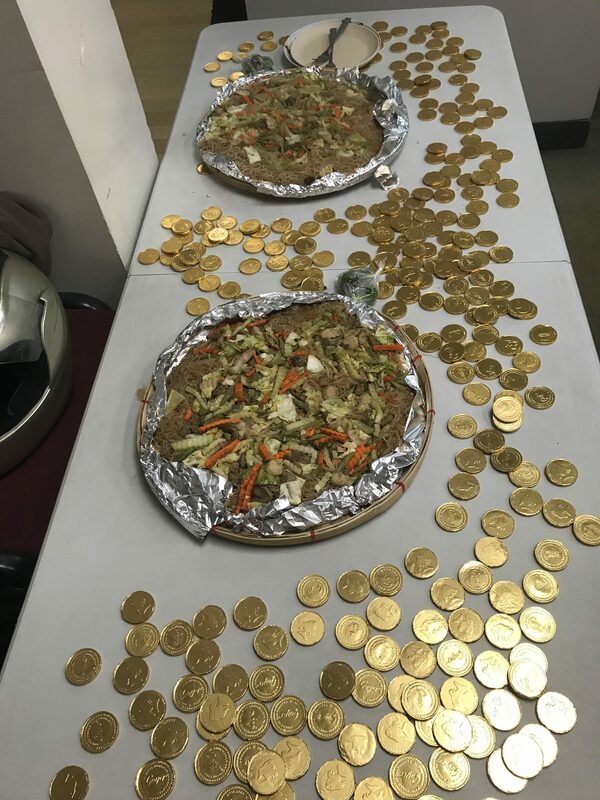 We bought pansit and scattered the gold coins around the table. This is our simple way of celebrating Chinese New Year. 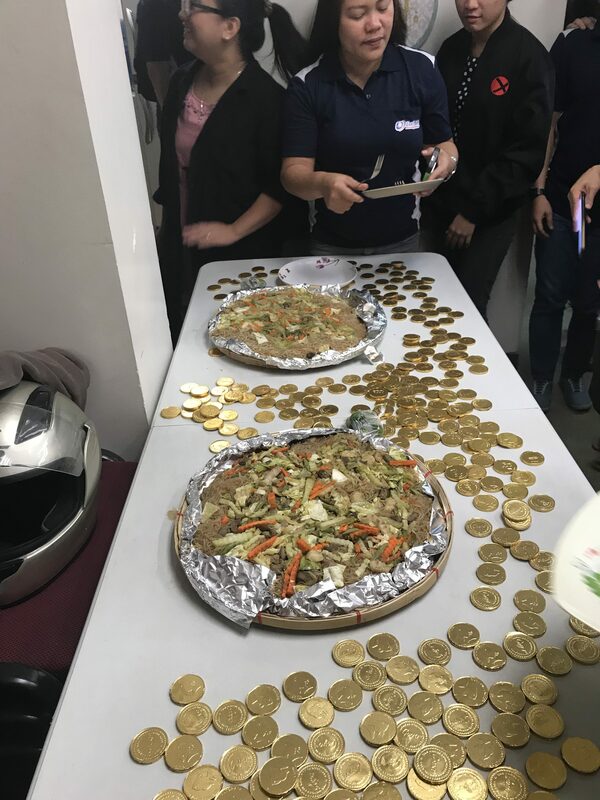 Ang bilis naubos ang gold coins and the pansit. 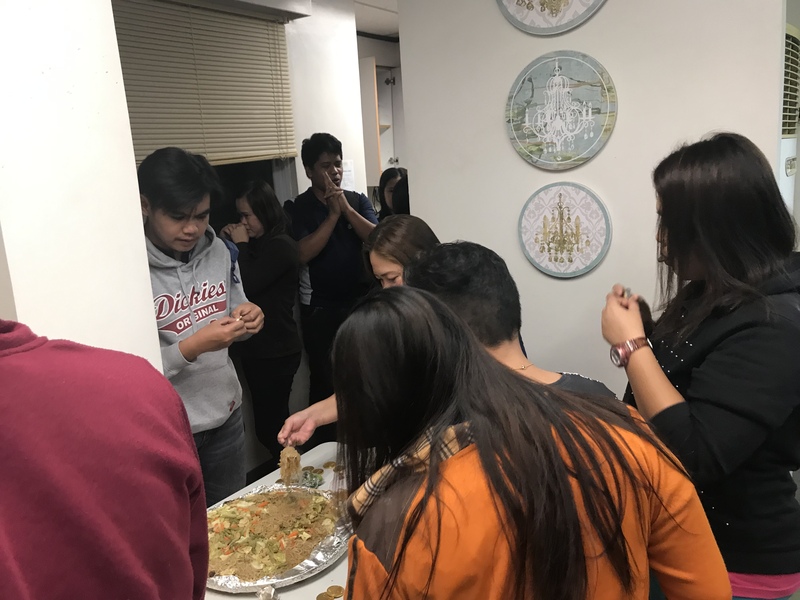 Nag enjoy ang team sa simpleng handa namin. I wish everyone a prosperous 2019! I believe that this year is way better than my 2018.